It’s a bit difficult to talk about this book without giving away important bits of the plot. I shall try, but be ready for a few blanked out spoilers! 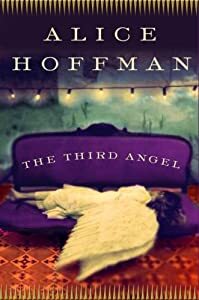 I’ve only read one book by Alice Hoffman before, Blue Diary, which is probably better known, but I preferred this one. I found it read a little like Sebastian Fawkes’ earlier work (like The Girl at the Lion D’or, especially in the parts set at the hotel). Not quite up to the standard of Fawkes, but getting there. It made me think a fair bit too, and I felt quite connected with some of the characters. My favourite was probably Lucy [highlight for spoiler] (at least when she was young), she kind of reminded me of myself but maybe more how I would want to be, more confident. I liked Frieda too. I liked how she was so independent, and how she had so many hopes [highlight for spoiler] I was almost disappointed when she gave up on her life in London, but I don’t think it was really her, more a kind of teenage rebellion. I think in the end the life she had was the one that would have made her happy rather than carrying on as she was. I had mixed feelings about Paul, or at least about his actions. [Highlight for spoiler]When I found out why he was trying to drive Allie away at first I thought he was a coward for not just breaking up with her. After a while I began to think that actually he was quite romantic, trying to make it easier for her to leave, and maybe to make it easier on her when he died. And he kept trying to get her to escape right to the very end. He didn’t want her to suffer, even when he most needed her.